Spectrum’s New Addition to the Sales Department – Spectrum, Inc. It is our pleasure to introduce you to our new Sales Engineer, Tim Bodziony. 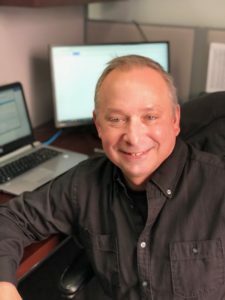 Tim brings with him many years of sales experience and we know that Tim will prove to be valuable in helping you with your railroad and industrial heating needs. |We consider ourselves fortunate to have him with us as we continue to deliver our quality products to you. Tim can be directly reached at 216-801-4367 or 216-532-9499. Spectrum Inc. is dedicated to providing you with exceptional quality and service.